The EU has passed a regulation that requires all passenger cars to be equipped with eCall systems by April 2018. The regulation was passed on April 28, 2015. 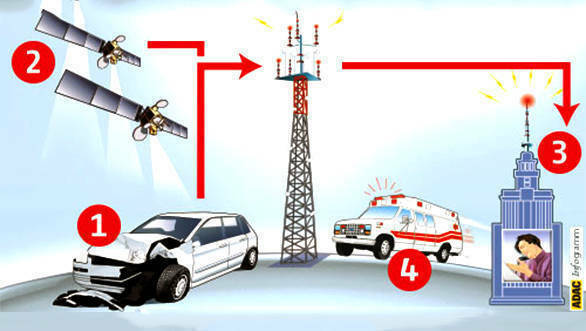 The eCall technology works in such a way that in the event of a serious accident, the system automatically dials Europe's emergency number  112. The system relays vital information to the emergency services, such as the vehicle location, time of incident, direction of travel and whether the driver is conscious or not. eCall only activates in the event of a serious crash, taking readings from multiple sensors to determine the severity of the crash. The system can also be activated manually, in the event of the occupant witnessing an accident. The EU Commission estimates that, once fully implemented, the system will save thousands of lives each year by speeding up response times up to 40 per cent in urban areas and 50 per cent in the countryside. "eCall is a perfect example of an EU-supported project that developed technological solutions to save people's lives," said Gunther H. Oettinger, Commissioner, Digital Economy and Society. "The legislation now allows delivering real benefits of digital technology." The emergency system is already in play in Slovenia since December 2015, and some car companies (Mercedes-Benz, BMW) have already integrated the system into their existing cars. BMW also plans to introduce the same system in their motorcycles in 2017.